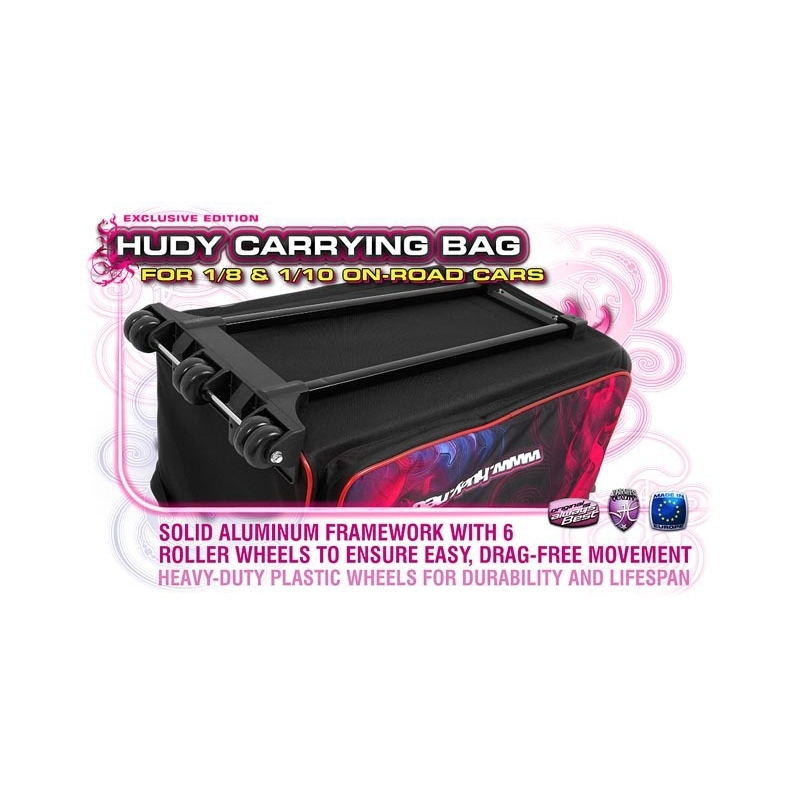 Smart, stylish and distinctive and ultra-versatile HUDY Team Carrying Bag is large and spacious enough to carry your 1/10 or 1/8 on-road RC car, tools, set-up equipment and gear to any track with comfort and ease. 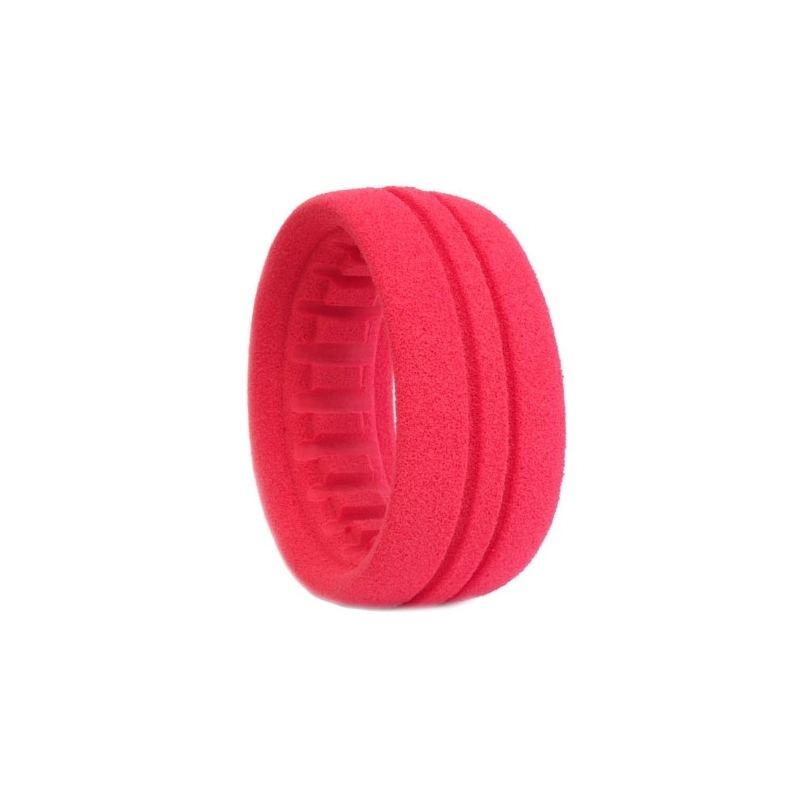 All walls are cushioned with protective foam, keeping your equipment safe within. 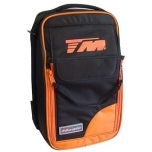 (click to enlarge) This exclusive-edition bag also features two straps for easy connection to a separate HUDY Tool Bag. 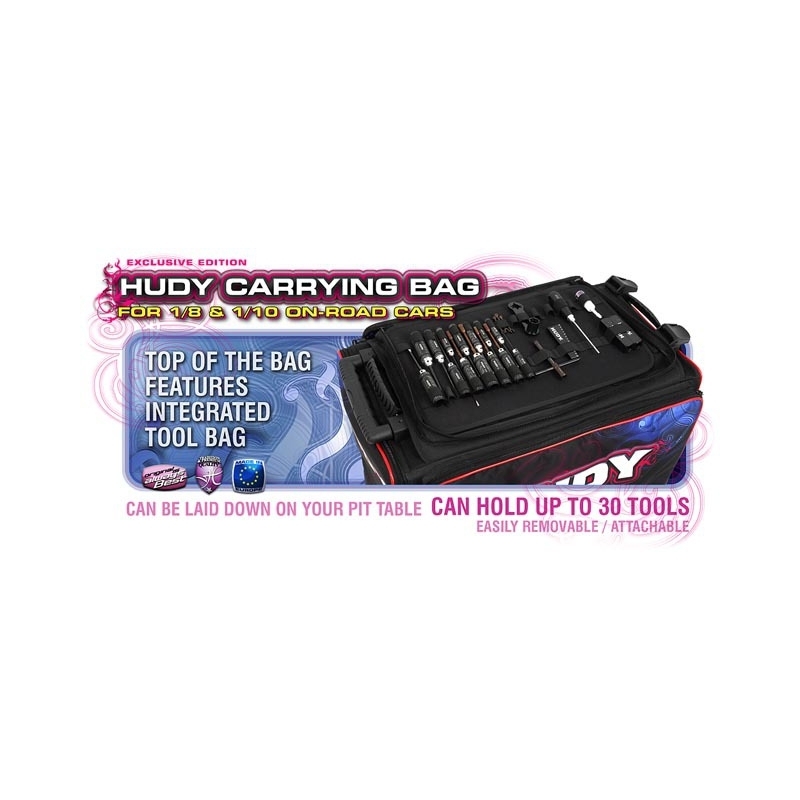 The separate HUDY Tool Bag can hold up to 30 tools and can be easily removed from the bag and laid down on the pit table. Super-strong stretchy xylan holds the tools and will keep its stretchy characteristics long time. Spacious side pouches are large enough to carry a full-size set-up board. Heavy-duty zippers provide quick and easy access. Two-stage telescopic handle mounted bellow the tool bag enables comfortable pulling together with the wheels. 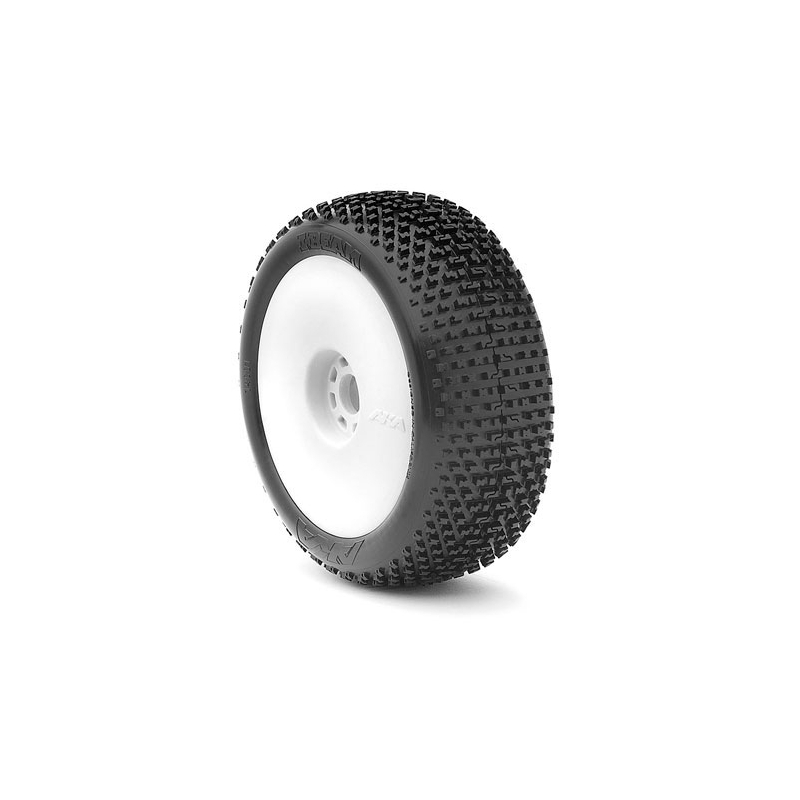 Six wheels are mounted on solid aluminum framework to ensure easy and drag-free movement. 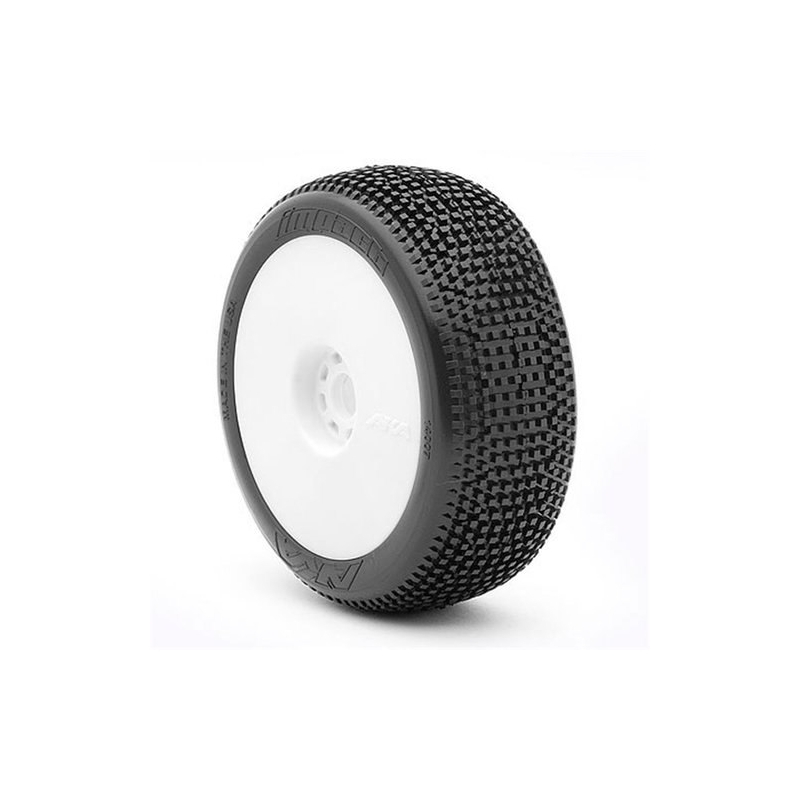 The wheels are made from a heavy duty plastic that was selected due to its low wear rate. 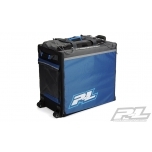 When the wheels and handle are not the ideal option, there are strong nylon carrying straps with padded handle allow for easy, comfortable carrying. 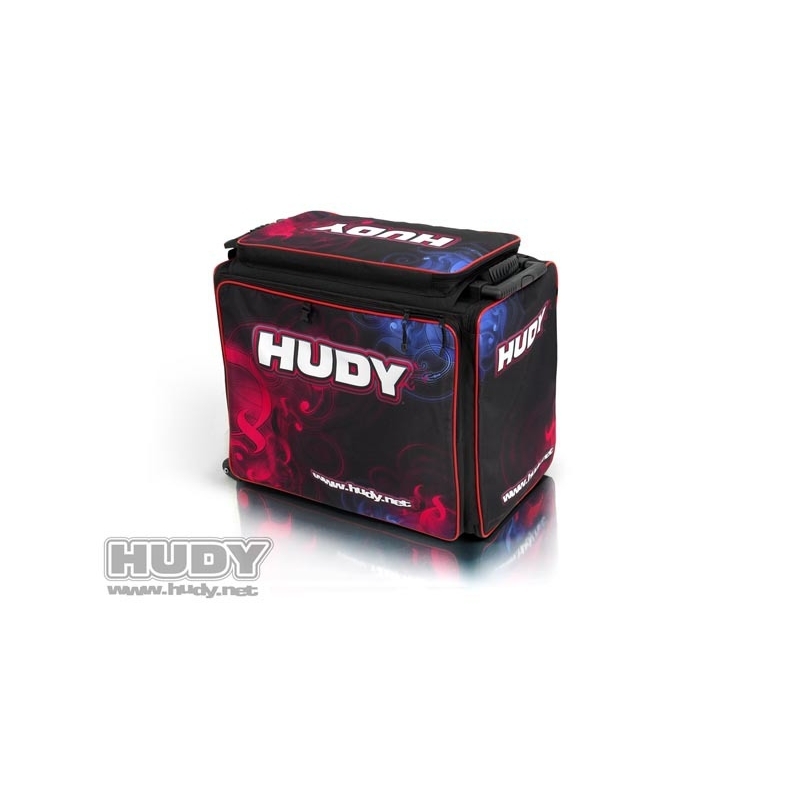 Rear wall features two straps which allow fast and comfortable mounting of accessory bags such as the HUDY Transmitter Bag and/or HUDY Starter Box Bag. 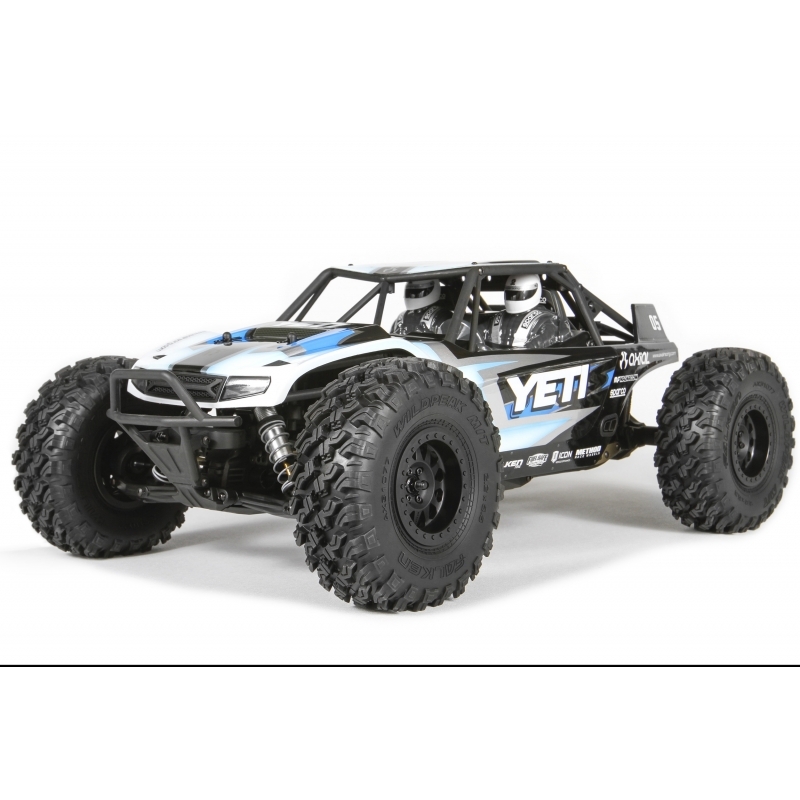 An elasticized cord is included so you can mount your RC car atop the bag. 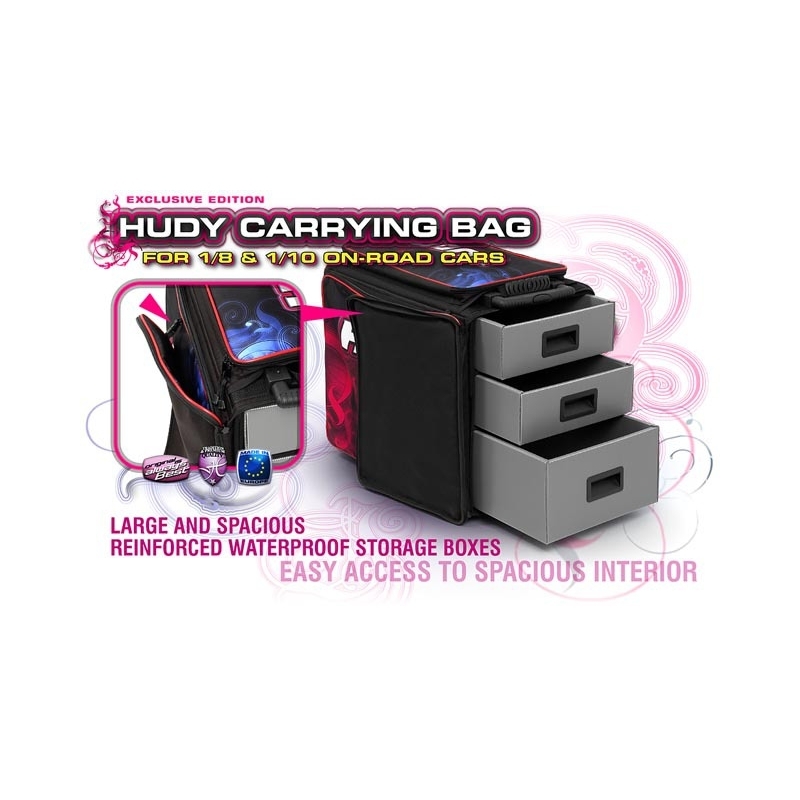 The spacious 600×340×450mm interior is easily accessible through the zippered bag end. 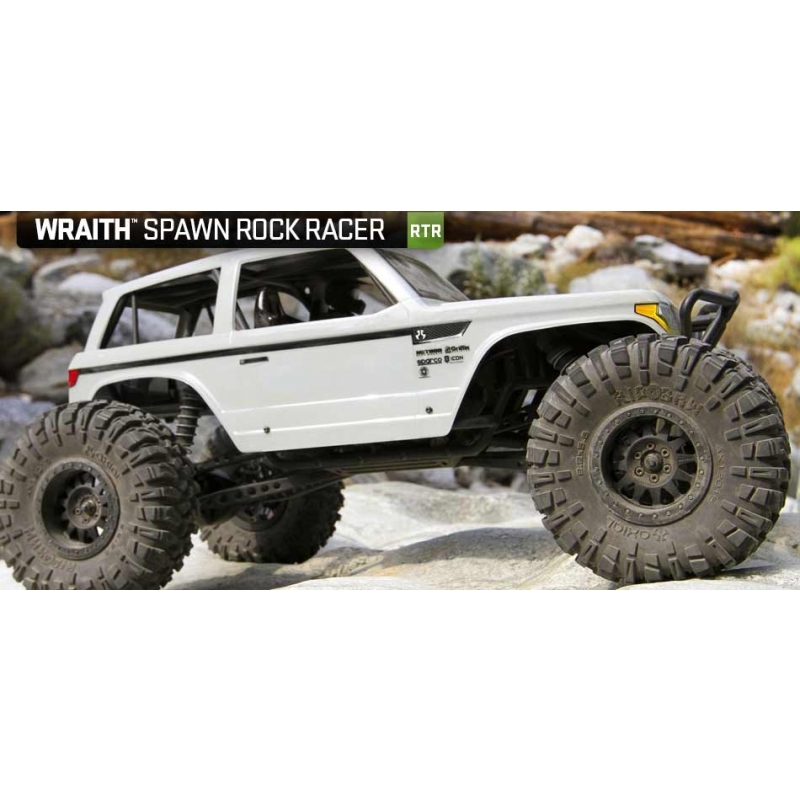 There is interior room for different combinations of different-sized storage boxes for carrying any type of RC gear (including your car). 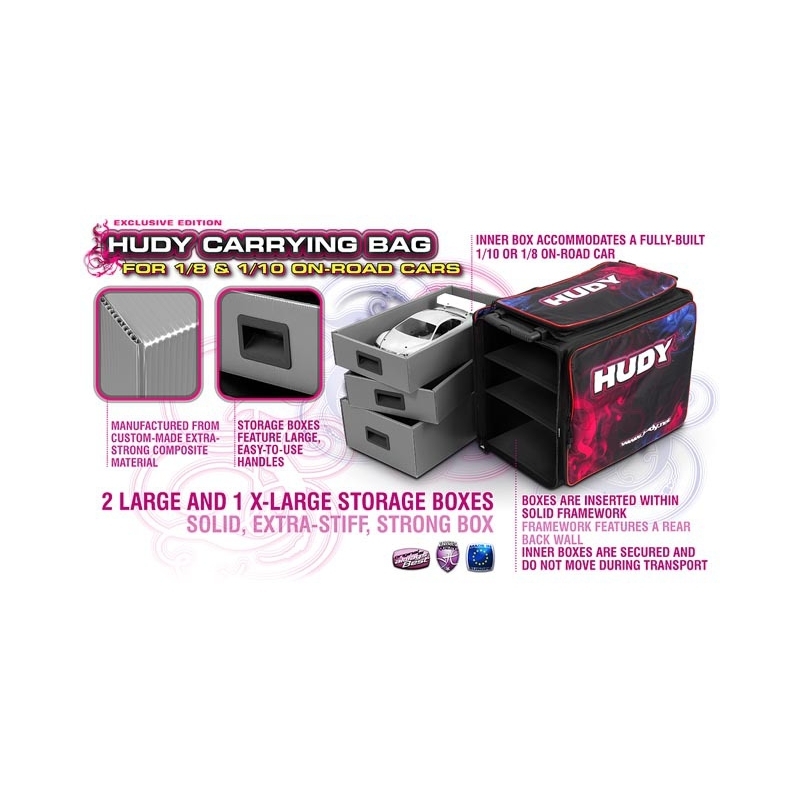 The bag comes standard with 1 X-large + 2 large storage boxes. 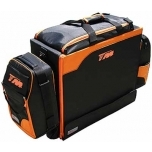 The strong, reinforced, waterproof storage boxes are made from a special high-quality rigid composite material for long life and extra durability. 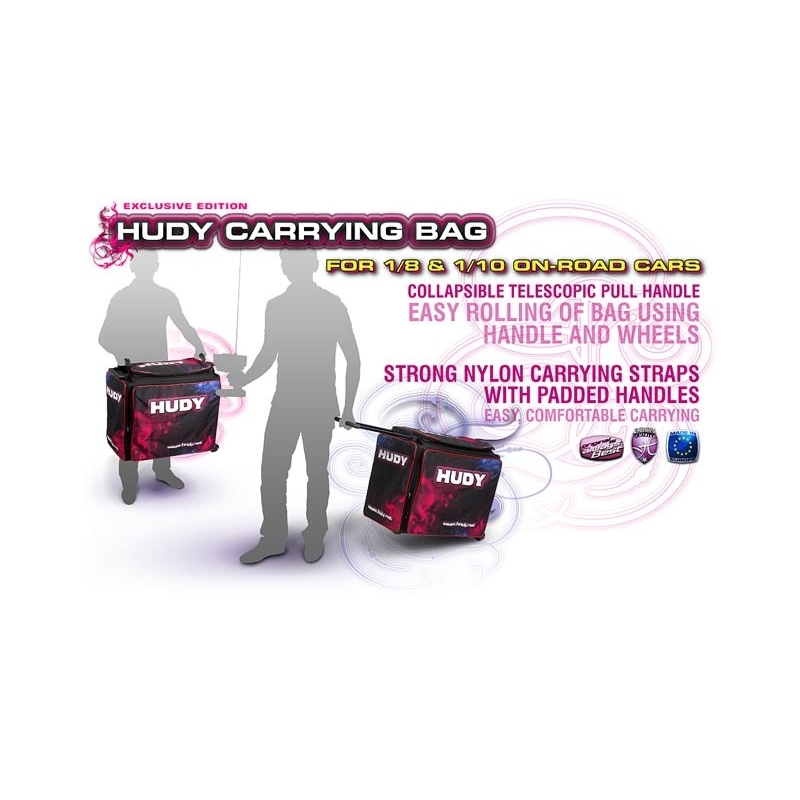 Super-stylish carrying bag emblazoned with official HUDY graphics. 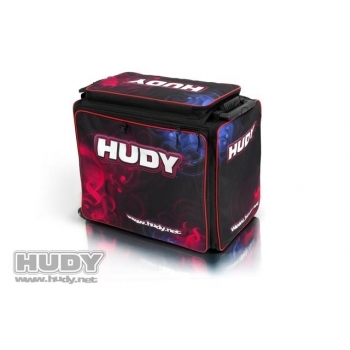 Standing apart with its attractive full-colour graphics, HUDY also knows how important your equipment is to you.